King is a 12-year-old dog who has had a tough life. The poor dog was abandoned by his former owner and was living on the streets. One day, the dog got hit by a car, and he sadly lost one of his front legs. 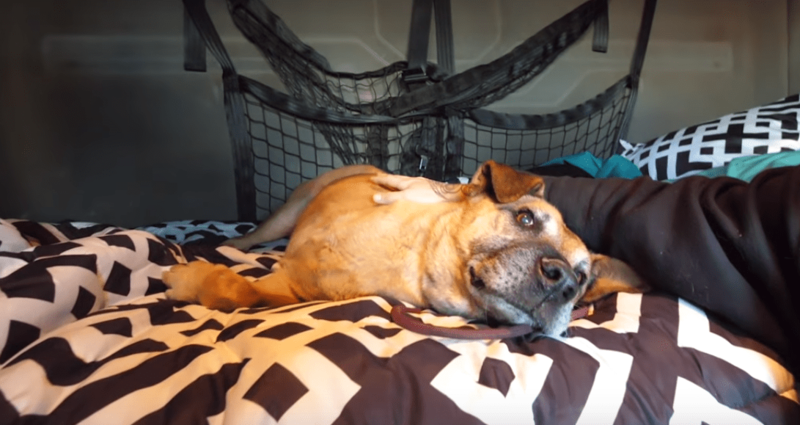 After his surgery, animal rescue group Marley’s Mutts took him in. 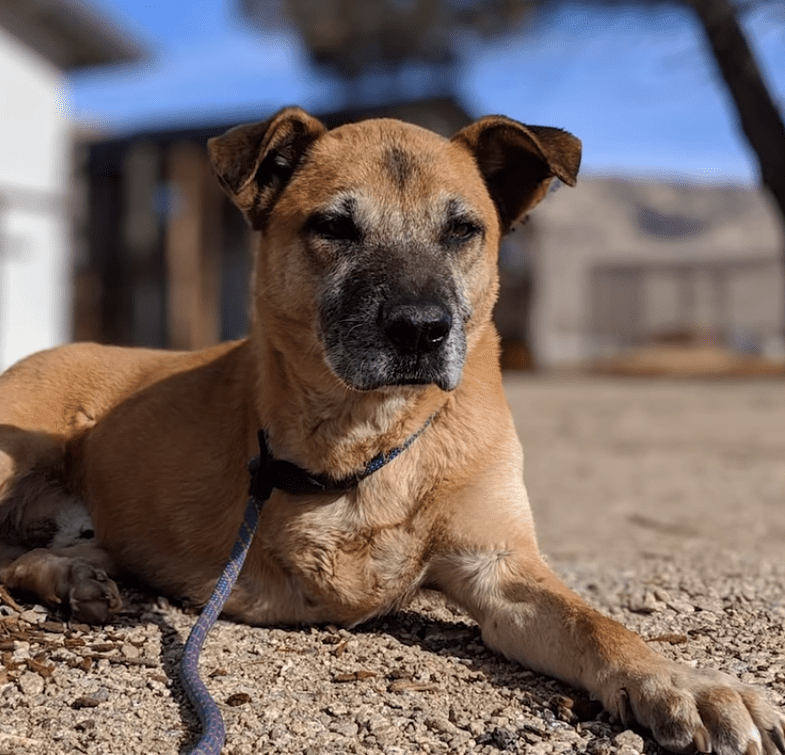 They tried their hardest to find King a home, but since he was a senior it wasn’t easy. Months went by, and nobody put in an application for King. Then, TV host Rocky Kanaka heard about King’s story, and he decided he wanted to help the pup. Rocky is the host of TV show Dog’s Day Out. On this show, Rocky takes shelter dogs out for the perfect day. The dogs always have a blast, and being on the show often leads to the pups finding forever homes. 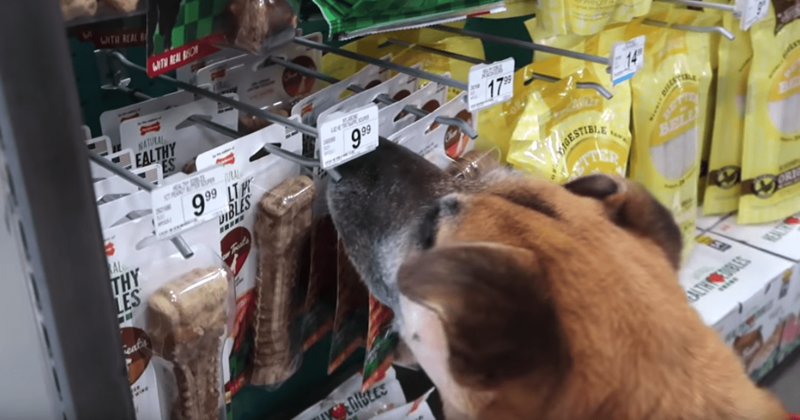 For King’s perfect day out, Rocky decided to take him on a once-in-a-lifetime shopping spree. In a YouTube video, Rocky explained that he would buy King everything he touched, from fish food to toys. 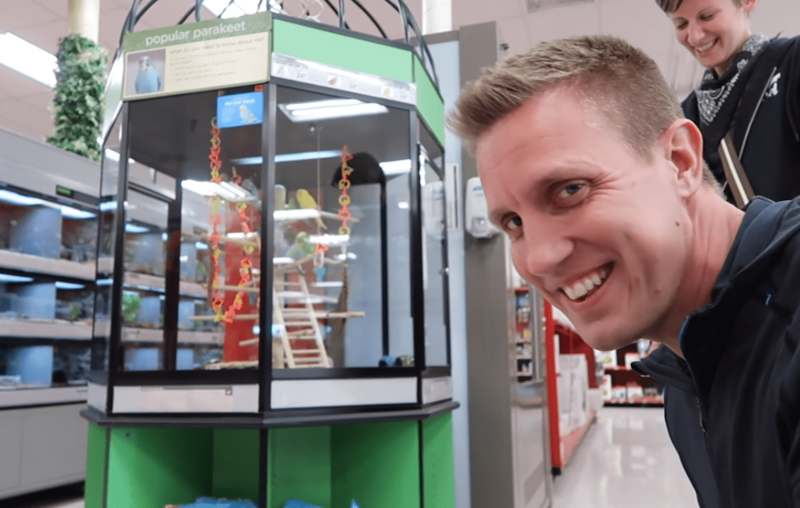 The only thing he said he wouldn’t buy him is a hamster! 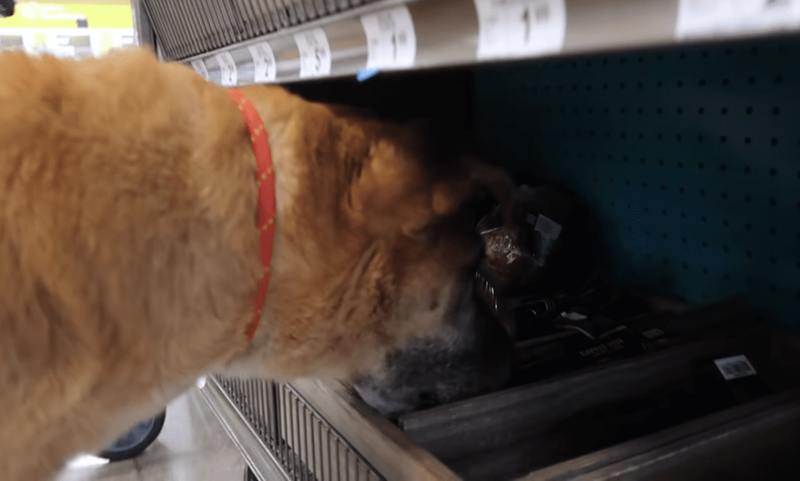 Rocky and King began their shopping spree, and King had a blast. The first thing he picked out was some dog food. After that, Rocky brought him over to the toy section. King had never had a toy before, and he was a bit confused about what they were. Rocky picked out a dinosaur toy for him, and King sniffed it. Rocky counted that as King touching it and threw it into their cart. 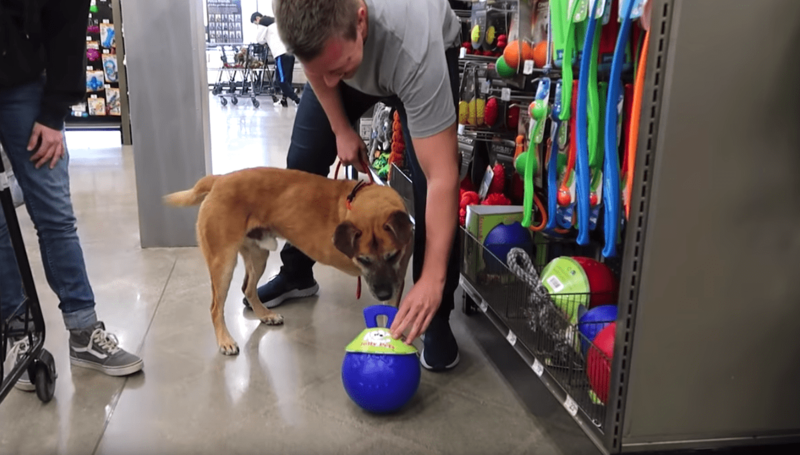 As the shopping spree continued, King picked out everything from treats to a giant ball to a toy rope to a rawhide bone. He even picked out a dog nerf gun that launches tennis balls! “He’s cleaning house!” Rocky joked as King touched treat after treat with his nose. At one point, King surprised Rocky by touching a huge cat tree. Rocky laughed but bought it for him—a deal was a deal after all. By the time the shopping spree ended, Rocky had a shopping cart filled with fun toys and treats. 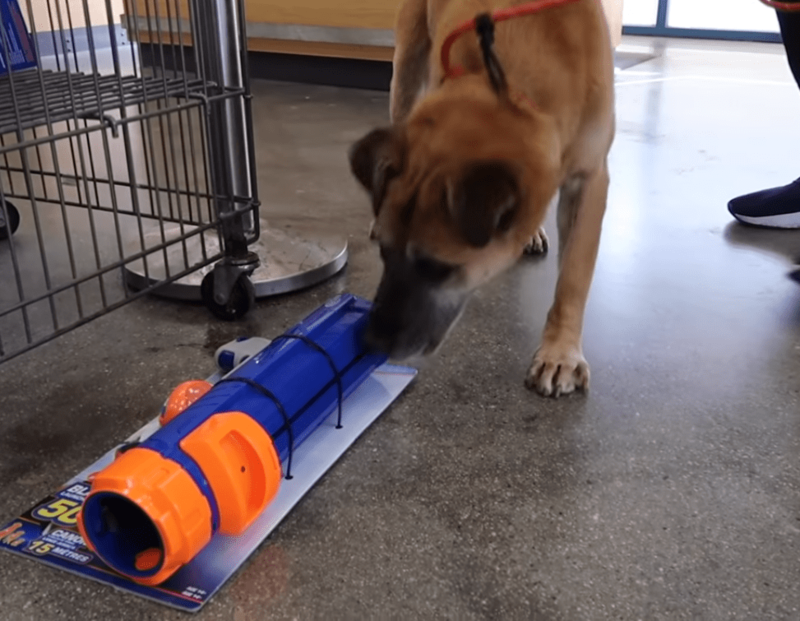 King’s tail didn’t stop wagging as he looked at all his new presents. Just a few days after Rocky posted the video, a woman adopted King! Rocky was thrilled to hear that King would be going to a good home. To celebrate, he took King on another shopping spree. King picked out lots more toys and treats. He also attempted to adopt a bird, but Rocky drew the line there. At the end of the video, Rocky met King’s mom for the first time. King was so happy to go home with her—he immediately ran up to her and laid down next to her. King hasn’t had an easy life, but he now has a great mom who loves him and plenty of treats and toys! If you want to see King going on his shopping spree and meeting his mom, check out the video below.